I purchased my Craftsman mower 2 ½ years ago and only got the push variety as it was cheaper than the self-propel model. This was a mistake in part because my yard has a little bit more of a slope than I thought. A side benefit is that I get a better workout each time I mow. Overall the mower has performed very well. This was one of the cheapest models I found at Sears but I haven’t been disappointed with the performance. I neglected to have the mower serviced the first year (I actually didn’t know you had to do this) and had it done before the season this year. Thankfully my mistake didn’t result in any damage and other than gasoline I haven’t done anything else to keep the mower running. There is really only problem area for this mower and that is that the bag wouldn’t attach well enough and grass clippings would spray everywhere as I mowed. I had to use a small bungee to keep the plastic flap and the bag cinched tight. Strangely after I had the mower serviced this year the problem was corrected. I never called back to ask what the issue was but I’m happy that it’s fixed. My only other minor complaint is that the mower itself can be a little cumbersome to maneuver. I don’t know if that’s the mower itself or the nature of push mowers in general. If I had to recommend this mower to someone else I would be happy to do so. For a smaller yard the effort expended is a good tradeoff for an inexpensive mower. It is reliable and durable. Hard to ask for much more than that. How are we to take your review seriously when you can not tell a MURRAY from a TORO or CRAFTSMAN!! Wow dude, REALLY!! Join in and write your own page! It's easy to do. How? 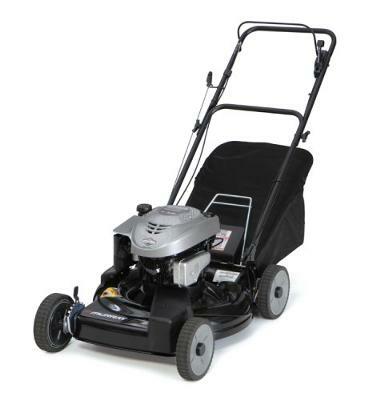 Simply click here to return to TORO Lawn Mower Consumer Reviews.